Revanth Reddy commands the respect of the young and elderly alike, despite the town being in shambles. "This is a fight between four members of the TRS family and four crore people of Telangana. This is Kurukshetra and dharma will win," said Telangana Pradesh Congress Committee working president Revanth Reddy at a campaign rally in Kosgi, Kodangal. His words were received with thunderous applause. Just hours after this meeting, shouts of “Tiger Anna Zindabad!” can be heard as you traverse your way to the house of 51-year-old Revanth Reddy in Kodangal town, from where he will be contesting the upcoming election. Congress flags, buntings and posters are everywhere. "Go down the lane and you will know it when you see it,” a local remarks when asked where Revanth’s house is. And indeed, you do. You go down a mud path and find an imposing bungalow where a large crowd has gathered. While Revanth boarded a helicopter and left for Hyderabad with Congress chief Rahul Gandhi after the meeting, most of his supporters headed back to Kodangal -- drunk and ecstatic. Revanth has been in politics since 2004, and was elected as MLA on a Telugu Desam Party (TDP) ticket in 2009, defeating five-time Kodangal MLA Gurunath Reddy. He was then re-elected in 2014 from the TDP, but defected to the Congress in October 2017. Along with him, he took a large chunk of his supporters who are loyal to him, but not necessarily to the party. "My entire family was with the Telugu Desam Party (TDP) since the time late Chief Minister NT Rama Rao founded the party. We have been big fans of Revanth and the moment he switched to the Congress, so did we," says Venkata, one of Revanth’s supporters. The fanfare for Revanth is prevalent, no matter what age group. 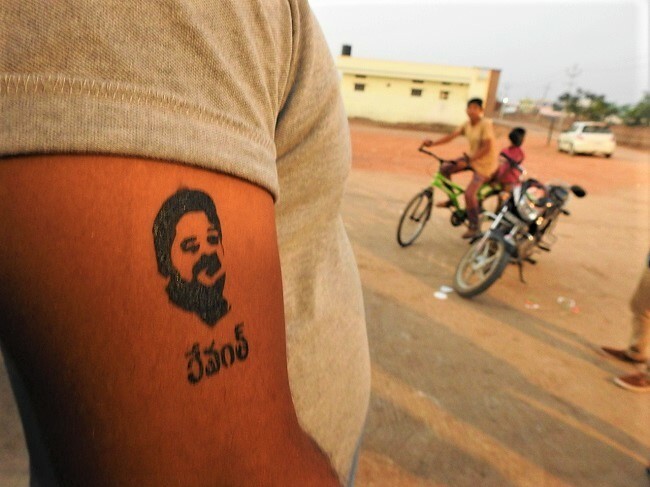 Outside Revanth’s house, supporters have his face painted on their bicep, and his name painted on their forearm. "You missed one fellow who got it on his forehead," one of them quips, with a wide grin. This is the kind of loyalty that Revanth is known to inspire. When he filed his nomination with the returning officer on November 19, he held a rally, with a crowd of hundreds. In spite of all this, Kodangal is a picture of neglect. There are few streetlights, a few roads which aren’t maintained too well, no drainage system, and the town got its first college during Revanth’s last tenure. In fact, even the path that leads to Revanth’s home is not proper, and has two or three streetlights at the most, and one floodlight right in front. 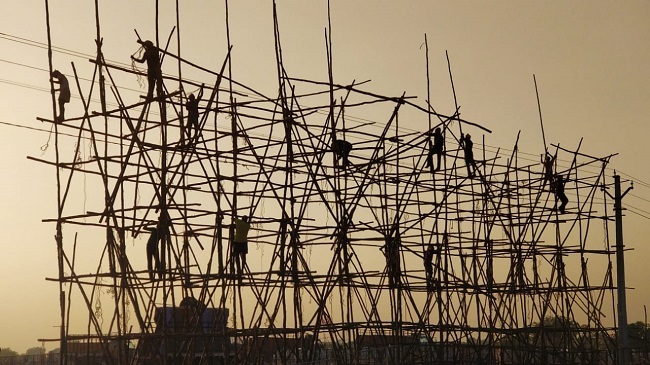 “‘There are many issues in Kodangal where development is concerned. Education is dismal as there are no technical institutes, barring one polytechnic college. There is also a lack of opportunities which results in migration of labour to Hyderabad, Mumbai and even to countries in the Middle East,” says Ravinder from the Telangana Vidyavanthula Vedika. Despite this, the faces of locals light up when asked about their leader, and they say that they will continue to vote for Revanth. Topping the list of reasons is that Revanth treats them like an equal. "Gurunath Reddy was feudal. Even if I go now, Revanth will offer me a seat. No matter who goes to the house during the day and says they are hungry, they will be offered a plate of food. Around 100 people have been eating at his house each day for the last five years," says Shyam Kumar, a local. “They help all of us in this town. Even if we go to his house in Hyderabad and say that we are from Kodangal, we are welcomed,” he adds. This is not just the sentiment in Kodangal town. Opposite the rally venue in Kosgi, the tea shop owner gushes that Revanth hadn’t come with a convoy but had come just with his driver, and that Revanth had drunk the tea he had made. Asked about why people continue to vote for Revanth despite the town being plagued by civic issues, Raghavender, a local youth, says it’s because the MLA elected in the constituency is never from the ruling party. "Since NTR formed TDP, except during the time of YS Rajasekhara Reddy, the MLA who is elected from here is never from the party who forms the government. That is our bad luck," he says. Many of them also say that with the Rahul Gandhi meeting, Revanth has not only put Kodangal on the map of Telangana, but also in front of New Delhi. "Earlier, many used to think that we meant Warangal when we said Kodangal. All that has changed now," Shyam says. "In the history of Kodangal, this is the first time anyone from the Gandhi family has visited, and it’s all because of Revanth," says Venkatesh, a member of Revanth's team, seemingly confident of a win. 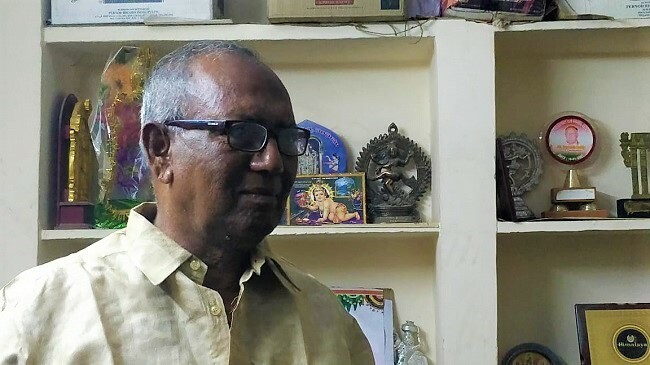 The Telangana Rashtra Samiti has decided that it is time to wrest the seat, and has fielded Patnam Narender Reddy, the brother of Transport Minister Patnam Mahender Reddy, opposite the incumbent MLA. Gurunath Reddy has chosen to back Narender Reddy. But with the present sentiment, it may not be too tough a fight for Revanth. "Did you see? They have allegedly found around Rs 50 lakh from an Income Tax raid that was conducted at the farmhouse of Jagannadh Reddy, a relative of the Telangana Rashtra Samithi (TRS) candidate," says Gurunath Reddy, glancing at the TV. The TRS candidate in question? Patnam Narender Reddy. Although Gurunath was defeated two consecutive times by Revanth Reddy, he still acknowledges that his rival understands politics well. "Now you see how he will use this raid to his advantage. No speech will go by without the mention of this raid," he says. When asked about Revanth's popularity, Gurunath says, "How has he put Kodangal on the map? By getting caught in the cash-for-vote scam?" Revanth Reddy was caught red-handed on video by the Anti-Corruption Bureau (ACB) on May 31, 2015, while he was offering Rs 50 lakh to Independent MLA Stephenson to make him vote for the TDP-BJP candidate in the elections to the Telangana legislative council. The ACB, which had laid a trap on a complaint by Stephenson, also arrested Revanth Reddy's aides. TRS leaders have been alleging that TDP chief and Andhra Pradesh Chief Minister Chandrababu Naidu is the mastermind in the scam and that he should be booked. The incident, however, didn’t as much as cause a dent on his support base. While Revanth has since defected to the Congress, his supporters have also switched allegiance with him. "He has the mass appeal that many leaders don't, especially in state politics. It will resound with many people that they will mainly remember three leaders in their life -- NTR, YSR, Revanth. We were worried before today's meeting that his popularity was falling, but now that he got into the helicopter with Rahul Gandhi, our confidence has soared," says Venkatesh. Venkatesh may not be too far off the mark. Soon after the meeting, Raju, a local, said, "I don't know what it is about him, but when I see his face I want to vote for him. He’ll be Chief Minister someday".